Columbia-HTC scored another first last week when they announced their 2010 roster. There were no surprises in the line-up and no big-name signings for the American team that is set to continue to back British sprinter Mark Cavendish. With 23 wins under his belt, Cavendish will start the 2010 season as Columbia-HTC’s undisputed leader, and there was no need for the team’s management to bring in any high profile riders. A look down the 2010 team roster shows that those coming in are mainly young talented riders who team boss Bob Stapleton hopes will go on to be the leaders of the peloton in future years. But they replace a wealth of experience that has moved on to pastures new, and could leave Cavendish without some crucial support. George Hincapie is the biggest name to leave the team. The experienced American has been instrumental in many of Cavendish’s victories in the past two years, and was singled out for praise by Cavendish in his book Boy Racer. Marcus Burghardt, who Cavendish reckoned spent more time on the front of the Tour de France peloton than any other rider in the 2008, also leaves the team at the end of the year. “A certain amount of turnover is good,” Stapleton told Cycling Weekly. “We’re looking for people who want to be here who’ll take advantage of the environment. We’re trying to do what we do best and that’s create this environment and structure where riders can come in and improve. “I think Hincapie has been exceptional as a quiet, calm leader, and he does have that experience, but we’ve got guys who over time will fill that gap. George left for personal reasons, it’s pretty late in his career and he wants to race a much smaller schedule, he wasn’t even sure he wanted to ride the Tour any more. He’s got a very large financial offer and when you get those at his age you have to look very seriously at it. “I think we’ll miss George emotionally, but athletically I think we can fill the gaps. If you look at guys coming in there are guys that have some experience. Hayden Roulston is a very fast guy, you can see him complementing our lead-out efforts pretty clearly, Bak has got some leadership and experience. The Velits brothers, they’re pretty exceptional. Kim Kirchen also leaves the team at the end of the year, heading to Katusha to beef up their Grand Tour presence. 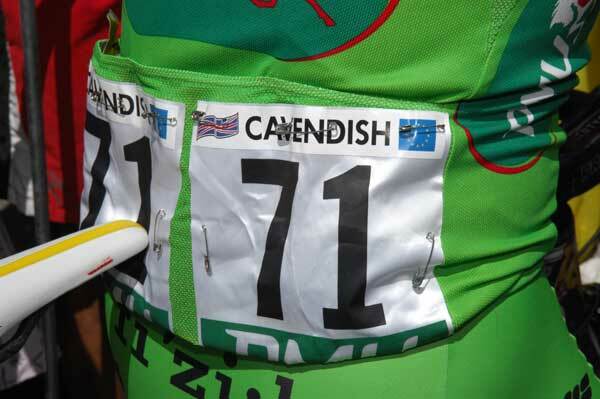 Stapleton denied that the Columbia team would be unable to support a rider with overall Tour aspirations and a prolific sprinter such as Cavendish. Winning the green jersey with Mark Cavendish at the 2010 Tour de France will be a major objective for Columbia-HTC. “I don’t think Kim was constrained here at all. His struggles this year were personal. He got injured early in the year, was coming back in to form but just had a poor Tour de France. His whole calendar and preparation, which is very important for him psychologically, was disturbed with his two injuries. “What we’re trying to do is grow young GC talent. You saw the good job Tony [Martin] did. With a more focused plan next year I think he can be a top five rider. I think you can put a GC contender and support a sprinter quite well. 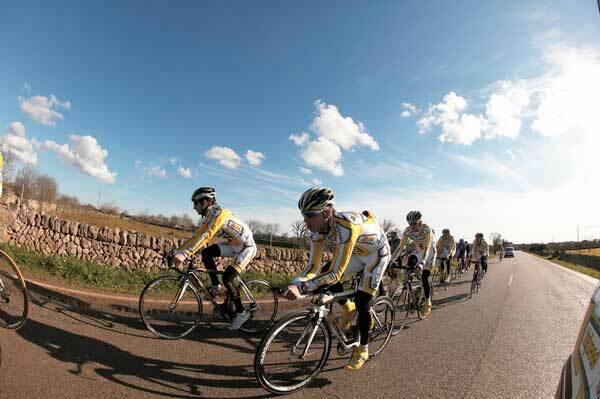 Team Columbia, as they were then, hit the Majorcan roads at the beginning of the year. More from Cycling Weekly’s exclusive Bob Stapleton interview tomorrow……..